Approximately two out of three of those voters were black. Ten of them were black and white (nuns from the Sisters of the Holy Cross). One nun, aged 98, had given up her driver’s license as had her “younger” sisters. If someone steals your wallet, you don’t take the rest of your money and throw it in the street. If someone steals your vote, don’t just hand them the next one. 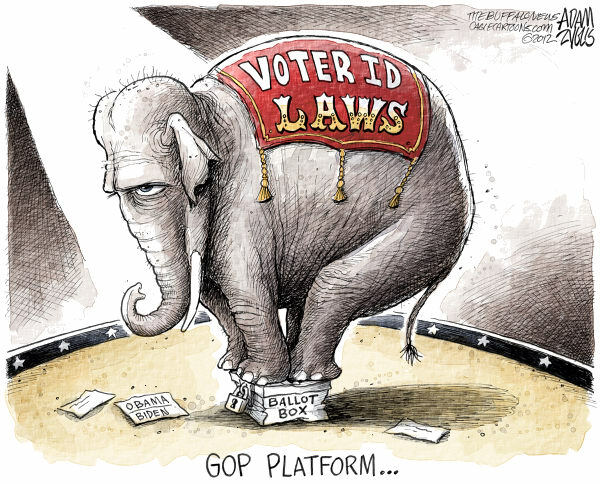 Now, 16 states have passed voter ID laws similar to Indiana’s. 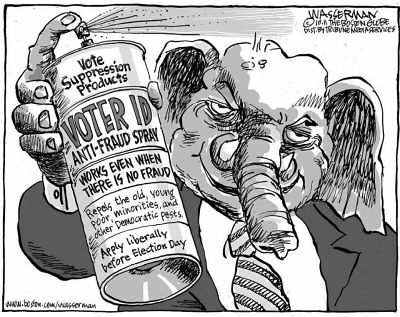 The story is that legislators are trying to stop an epidemic of people voting under false names or casting the ballots of dead people. But nobody’s come up with more than a tiny handful of cases where that’s happened. Taking away the votes of hundreds of thousands of people to stop one or two fake votes is like killing a flea with a shotgun. Moreover, no fewer than 68,029 Indiana citizens, and 488,136 voters nationwide, had their absentee ballots thrown out on nutty technicalities like using the wrong size envelope or crossing out a bubble instead of filling it in. In all, my fellow investigator, Robert F. Kennedy Jr., and I found that more than 5.9 million citizens were wrongly barred from voting or having their ballots counted in 2008. Nonetheless, Indiana, birthplace of the Ku Klux Klan, was won by a black man, Barack Obama, despite the massive number of votes tossed and voters turned away. That happened because in Indiana, and nationwide, a massive turnout of African-American voters and record registration of young voters—both groups that are hugely affected by voter ID laws—overcame efforts to block votes. The answer is, “That’s what the thieves want you to say.” If someone steals your wallet, you don’t take the rest of your money and throw it in the street. If someone steals your vote, don’t just hand them the next one. It won’t be easy to protect our votes this year—estimates say the new restrictions could again disenfranchise as many as 6 million people. But Dr. Martin Luther King Jr. protected the votes of African-Americans when voting while black meant risking your life. Our task in 2012 is far easier. First and foremost, check your voting status. 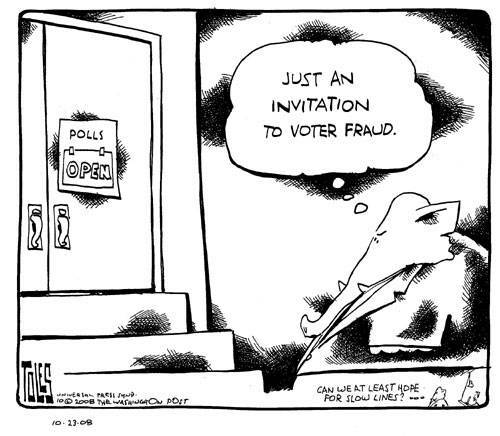 Think you’re registered to vote? Check again. Under new federal laws, secretaries of state have eliminated 22 million voters from the registries in the past two years. Check online right now. Tips for spreading your ideas without getting the runaround. Do you live in a state with new ID laws? Find out what ID you need, and figure out a way to get it. It may not be easy—but that’s the point. They’re hoping that people will just throw up their hands—and throw away their votes. Do you vote at one address and register a car at another? That’s asking for trouble. Have you added your middle initial to your signature? Well, don’t. Read the instructions on your absentee or mail-in ballot. If they tell you to fill in a bubble, don’t cross it out. If they say to use a pencil, don’t use a pen. It may seem like trivial stuff, but it killed almost half a million votes last time. The people who don’t want your vote to count are counting on you to give up easily. Don’t do it. We can work to fix the laws after the election. But right now, the most important thing is to find out what rules are in place and make sure you follow them.